Ed. 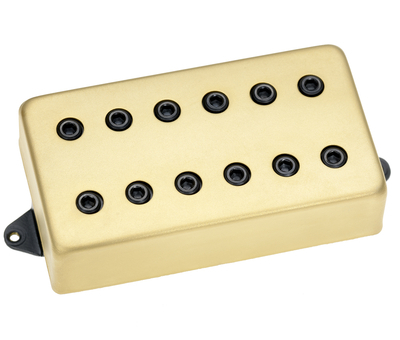 Note: This review of the DiMarzio Titan humbucker pickup set was originally posted on my Facebook page in two parts. One for the bridge and one for the neck. I will combine them here for one single review for the set. You may be thinking that this type of pickup might be a little bit off the reservation from my usual fare. I’d have thought so as well about a year ago. 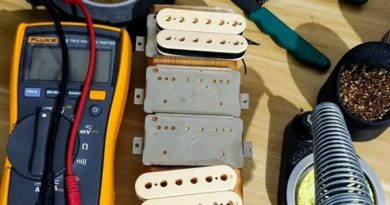 As I’ve been getting deeper into the DiMarzio catalog, many options have been rising to the top of tones that are more versatile than expected. The Titan bridge is one of those. Jake Bowen made his way to DiMarzio a few years ago and hit the stage with the Titan humbucker set. I’m glad he did. Having checked out some of what he was using previously, Jake’s signature DiMarzio Titan set is much more defined, versatile and… well, just… better. If you are reading this, I know you are smart enough (*wink, nudge*) to know the association with the Titan or to click a link if you are interested… so I’m not gonna waste your time with a history lesson. But… what I am gonna do is go on and on about how the specs of the Titan bridge seems to defy logic once you hear/play it. It has a relatively even tone/EQ, a ceramic magnet, and a moderate 11k range resistance that pumps out a pretty hot 418 mV output… proving once again that you don’t need in excess of 16k to peel the paint off the walls. Will the Titan bridge peel paint, so to speak? If that be your task, I do believe it can. In another conundrum, the Titan bridge can cut right through with plenty of edgy bite capable of piercing a dense mix. The mids have a blend of a roar and a growl that contribute a bit of “oomph” and a low end that is punchy while being one of the more articulate and precise low ends out there – there’s not much sag going on here, if any. Yet, it does it without getting into that crispy/brittle territory. The Titan bridge is also a solid option for your 80s hard rock and the more progressive rock styles of the 90s and into the modern scene. Riffing and chugging are smack dab in the middle of the Titan’s comfort zone, but it is great for big open chords and for players that want to display their proficiency. Yes, the Titan is a great pickup to show of your chops… just as it will lay you out on the chopping block if you are off your game. When going to a clean amp tone, the output does seem to dominate a bit. Be prepared to adjust your volume knob or tweak your amp or possibly use a neck or middle pickup, depending on your guitar. 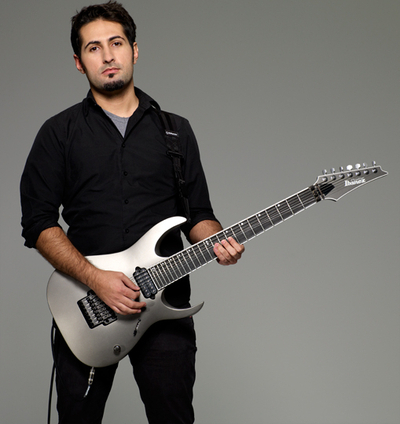 The Titan neck model works very well with the Titan bridge, as well as offering a very productive contrast. Middle position tones are excellent for a backing rhythm with a dirty amp. That same middle position with a clean amp is very nice for chords and single note lines… and I’m talking about regular series wiring. 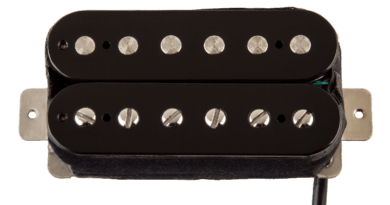 I generally find I have to go to a split or parallel wiring for clean tones that meet my needs, especially on a pickups with specs like the Titan… but not so in the middle position, or the neck position. DiMarzio is cool enough to include an allen wrench for pole adjustment. I also dig that they include normal and Phillips screw sets for overall height adjustment….other manufacturers, please take note. LOL! Back to the point, the Titan set are both really sensitive to pole piece adjustments. Tread lightly, if your path leads that direction… maybe a 1/4 turn at a time. Overall, the Titan set is a well-voiced and versatile set. 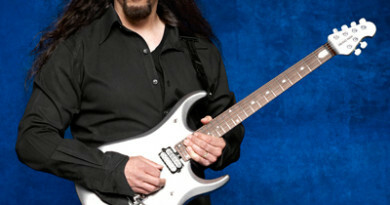 A lot of ground can be covered with either an adjustment in picking style or a couple of small tweaks to amp settings. While I personally like a bit more constraint in the low end of the neck position, there’s enough punch in the Titan neck to keep things happening.